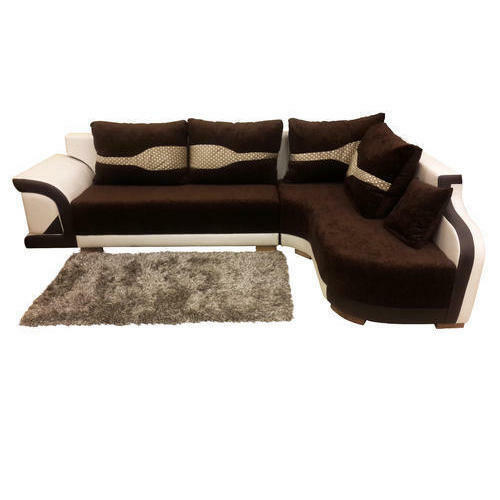 We bring forth a huge array of L Shape Sofa Set in several designs and colors. Founded in 1992, Home Furniture is a pioneering Manufacturer and Supplier organization dealing in quality Commercial Furniture and Designer Services. Our leading position has the backing of over two decades of furniture manufacturing experience and advanced infrastructure to facilitate a wide assortment of commercial furniture including Visitor Chair, Revolving Chair, and Theater Chair. We not only deliver furniture, but also render designer services to go with it, which makes us a well favored entity offering latest design furniture with utmost comfort, promise of durability and rust resistant material. Our aim is to offer the best price to our discerning clients and help them with intelligent styling options to make the furniture commendable. Our efforts to provide choice of furniture and lowest price are underpinned by the diligent efforts of our team leaders and furniture specialists. What makes our products stand apart is our client centric approach and dedication to enhance the end user experience, by designing trendy and comfortable furniture for offices. Moreover, we are implementing some great advancement into our infrastructure to ensure that our coveted list of clientele gets the best product. The raw material used in crafting the commercial furniture is procured from the reliable vendor base, which helps us to become the major player in the furniture economy of the country.